Irish note cards and Irish greeting cards for every occasion including thank you cards with the Claddagh and shamrock along with Celtic knot-work and blessings. 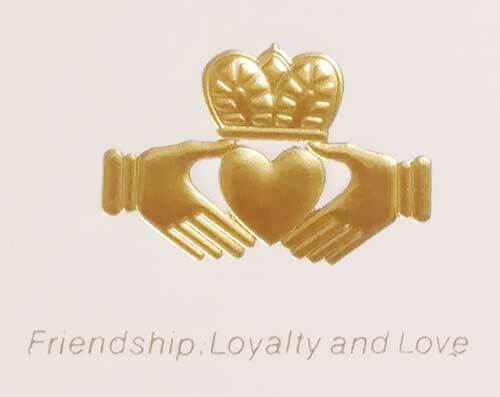 Our Irish note cards and Irish greeting cards range from the iconic Claddagh to traditional blessings. The Irish Gift House also features Irish thank you cards with the shamrock and Celtic knot-work. 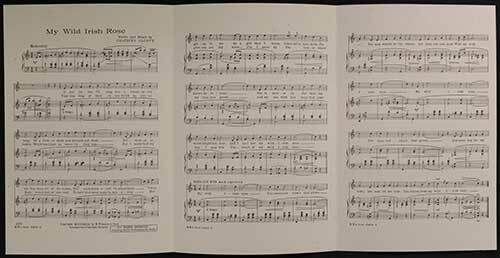 Most of our Irish note cards are blank inside so that you may write your personal message; while, our Irish greeting cards offer a verse or sentiment appropriate for the occasion. Irish blessings note cards feature 8 different traditional verses on 8 cards. 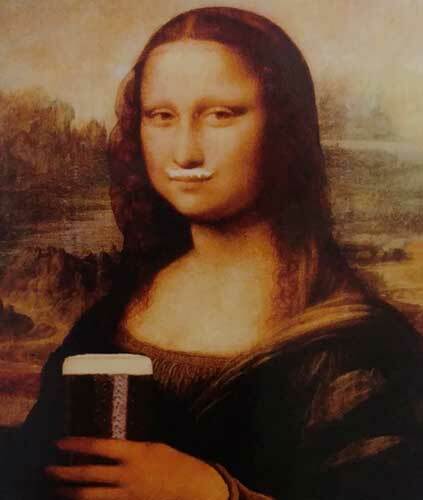 Irish postcard features Mona Lisa McGuinness sporting a Guinness mustache along with holding a pint. 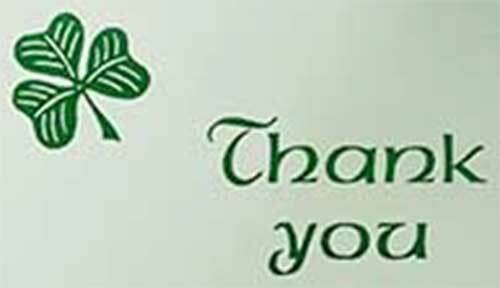 Irish thank you card features shamrocks along with Celtic knot-work. Irish get well card features shamrocks and butterflies. Irish wedding card features shamrocks on the cover along with a traditional Irish wedding blessing inside. 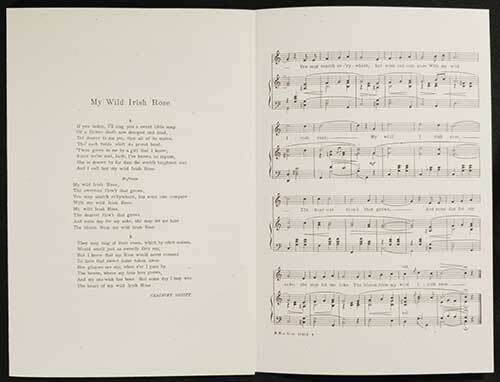 My Wild Irish Rose greeting card has the look of an old time publication; words and music are included. Irish anniversary card features the Claddagh along with shamrocks on the front with a blessing inside. 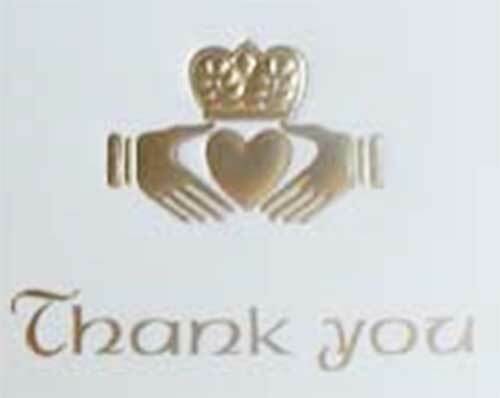 Irish marriage card features a gold foil Claddagh along with a wedding blessing. Sorry, these Irish seals are now sold out. Please visit our Irish blessing plaques category for additional selections of gifts with toasts and sayings for every person and occasion. The Irish Gift House also features Irish blessing shamrocks and four leaf clovers; these engraved plaques are available in brass and gold plated along with silver plated and copper.